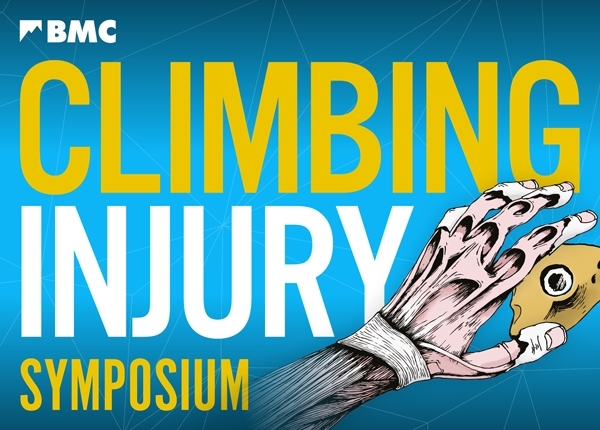 As a climbing coach and instructor, I thought it would be interesting to attend the BMC climbing injuries symposium. The room was filled with medical professionals, from Osteopaths to physios and doctors. I must say, it was interesting, but a fair few terminologies went straight over my head. Below, I have tried to summarise the things I found interesting, what stuck in my mind, and of course what I understood. I am not a medical professional, and nor do I claim to be. So please, if I have entered any mistakes, please do let me know. Some of the information given may be common sense to most of us, but thought I would repeat anything I felt was important. Look at the biological age of the growth plates of the person (can be done through scanning). Once the growth plates are closed, the fingers/hand would be able to cope with greater stresses. The growth plates on young persons fully close between the ages of 16 and 21. The only way to be 100% sure is through the use of scanning. 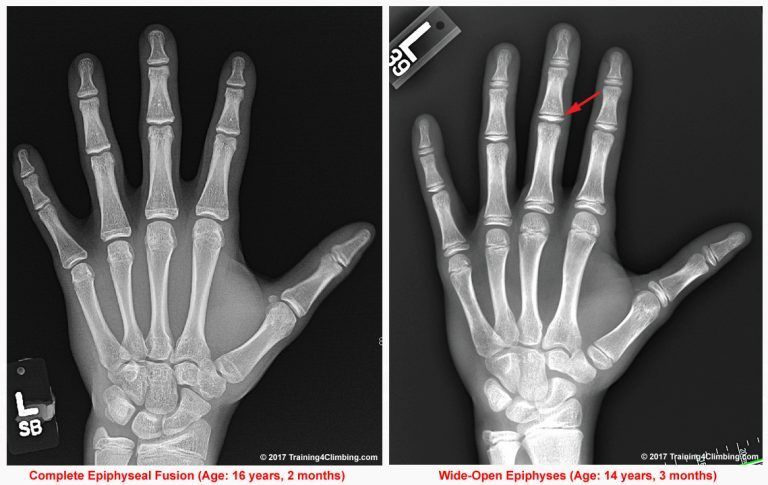 Epiphyseal (growth plate) fractures tend to happen around the age of 15, just before they close. Advice: teach kids to use open hand crimping, which reduces the risk of stress on the growth plates. One finger holds, can be the culprit for lumbrical tears, as one finger is extended and the others are pulling down. This creates tension between the muscle (lumbrical muscle) which is attached to a tendon on either side. 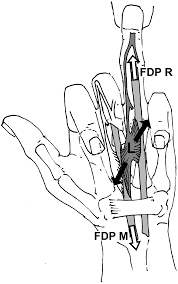 The finger holding the hold is tensioned and extended, the other finger are pulled down (see picture below). This in turn creates opposing forces on one muscle, and can in some cases result in a tear. A lot of strain/force can be placed on the hamate bone, which the tendons run over. When you are using an undercling with the hand twisted towards the pinky finger. This almost outgrowth of bone can fracture from excessive repetitive forces put through this. 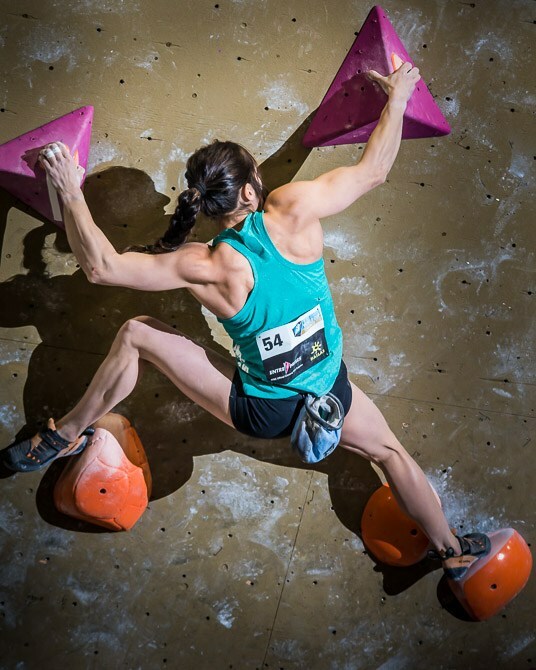 Heel hooks can be a very underused technique with climbers. Unless you are climbing at a higher level. The muscle used to do a heel hook is not used to high loads, when untrained. So to be able to withstand higher loads, one needs to train this, and expose to greater stresses bit by bit. This can be a problem, especially with newbie climbers. As climber we can have a propensity to concentrate on upper body and finger strength (pull ups, campus boarding, finger boarding, one arm lock offs). I’m not saying these do not benefit, but 50-55% of the energy is created through the legs. So maybe there is some space to have specific drills to train the legs. A robust climber will have overall balanced muscular strength, range of motion, and the ability to apply force in that range of motion, flexibility and endurance. A strong, stable and powerful lumbo pelvic performance/control will prevent injury, and make you an overall stronger athlete. Also the ability to keep a neutral spine in smaller movements will reduce tissue damage. When training, using both static and dynamic loads through the legs is important. If you are taking climbing very seriously, and are doing a lot of training, a deload week is very important to allow the body to heal and rest. Variability in training and exercise is key. Not to concentrate on just one sport or activity, but working to being an overall strong athlete. Also looking at cardio, stretching, and training activities/sports other than climbing. Energy deficiency does not just refer to dieting only, but also exercising on an empty stomach. One of the more fashionable diets nowadays like fasting, can create energy deficiencies. As climbing is a weight sensitive sport, the drive to perform can lead to anorexia. 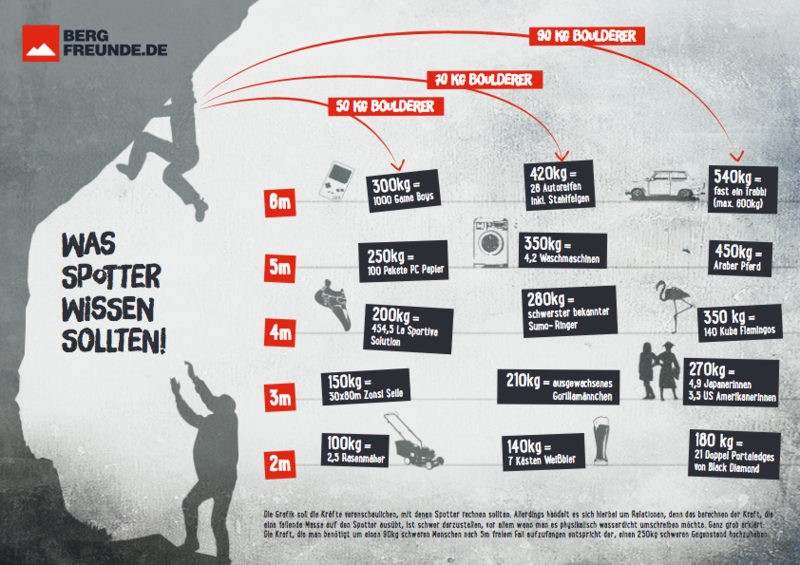 We are not talking about 1-2 Kg, but 3.5Kg upwards, this is obviously proportionate to the climbers “normal” weight. Again this can lead to injury, physically and emotionally. Good nutrition is a massive part of healing the body after workouts/climbing. With regards to overtraining/undertraining, as a coach, you should look at not only the external loads applied within training (measurable), but also the internal load exerted by the people we are coaching. Where after 30 minutes of a training/work out session, the client gives a measure between 0-10 (0 being super easy, and 10 being very very hard), so as a coach you can adjust the next session. Hence, keeping in mind that we are not likely to overtrain the people we are coaching, physically or psychologically. This way of measuring a training session is called the Rate of Perceived Exertion. 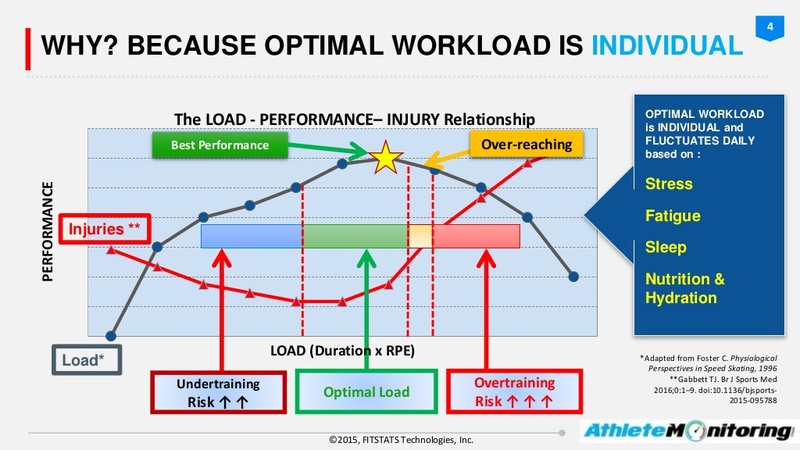 The way the graph is interpreted and numbers to be calculated is explained in the link, “Injury prevention paradox: should athletes be training harder or smarter” (see link below). If you have a shoulder injury, as well as rehabbing the shoulder, you should consider looking at the kinetic chain. The kinetic chain consists of the link between ankle joint, knee joint, hip joint, the lumbar and thoracic spine and the cervical spine. Meaning, that something happening in your foot or ankle can end up reflecting itself in your shoulder. So, it would be a good time to look at the imbalances in strength, flexibility and range of motion. Climbers need to work on shoulder stability, which is very important, if the climber wants a long happy injury free climbing career. Lots of hanging on the skeleton (i.e. arm), can end up with lax muscles, which usually hold down the scapulae, which in turn ends up with shoulder problems. So when on a hanging rest try to engage your back/shoulder muscles the majority of the time. Kids are neuroplastic, adjust training accordingly. Open hand crimping produces less stress on the pulley, and decreases the chance of pulley injuries. Research has shown that eccentric loading (loading from closed crimp position to more of an open crimp), in training on campus boards and finger boards, of the fingers creates more friction on the pulleys, in turn increasing the probability of injuries. But this does not mean that concentric loading (from a more open crimp to a closed crimp movement under load) of the fingers is safe, and without the potential for injuries. A new therapy is used on climbers’ fingers in Germany, where leeches are used on the fingers. These inject certain enzymes in the finger, causing some of the fluid to dissipate, and increasing blood flow to those areas, thus speeding up the healing process. Skin infections, can lead to degradation to the tendons. If you would like to learn more, and be taught by two professionals in the field. 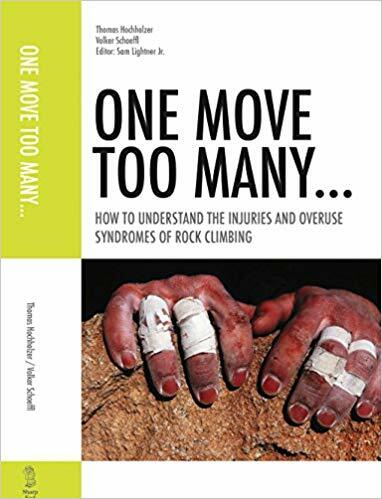 Here is a course on climbing injuries run by Isabella and Volker Schöffl, both highly qualified medical professionals and climbers. Please check the internet. There are lots of retailers who sell this book. Make sure it has this front cover, as this is the updated version of Volker’s 2001 version. The BMC climbing injuries symposium was very worthwhile going to, as a climbing coach, instructor and for my own climbing. Personally, I have also become more knowledgeable through my own climbing injuries and the research I have done as a result. Please look after yourselves and each other, and spread the word. I know some of it is common sense, but even common sense sometimes isn’t enough to follow it.